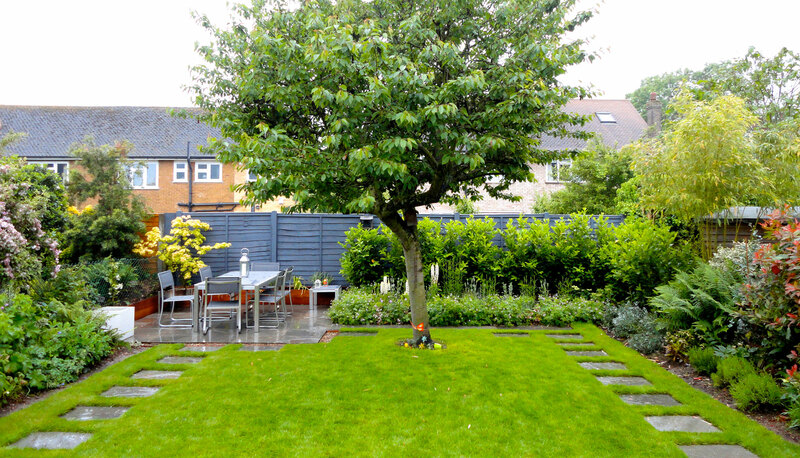 Town & city gardens are all about your taste and style! 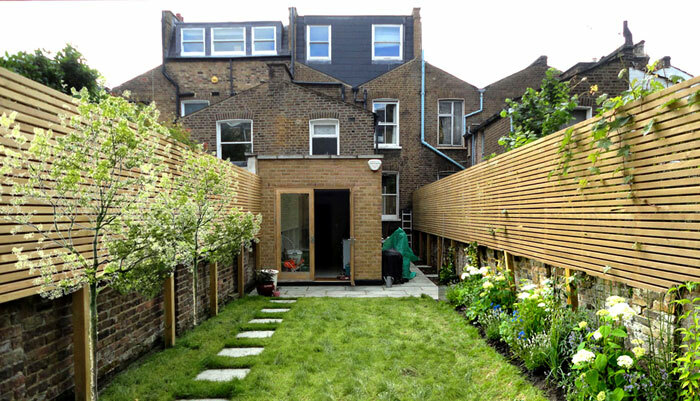 Key Structural Elements – Allow for a big terrace for outdoor dining, build in extra seating areas as well… these could also incorporate storage. 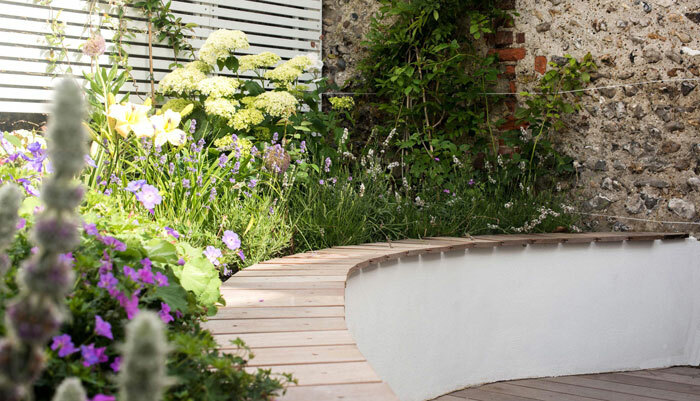 A mix of levels and heights keep the interest and maximise the feeling of space – build some raised beds and a structure like a pergola or garden room…or some vertical planting. 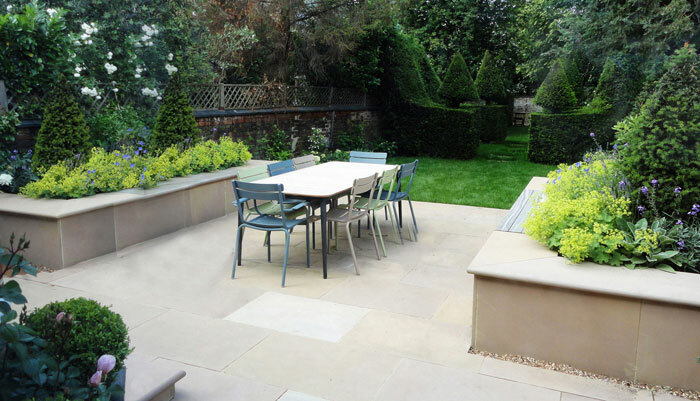 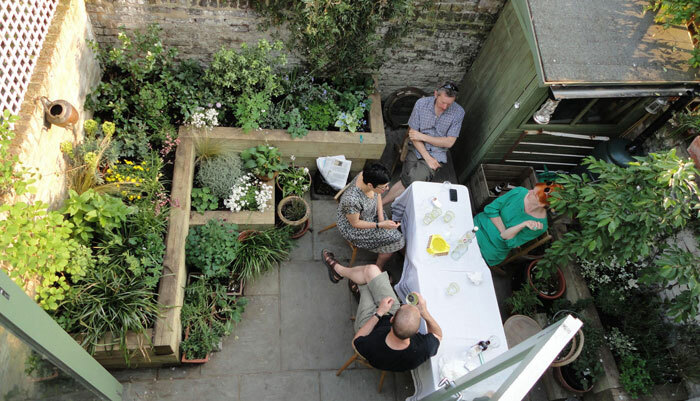 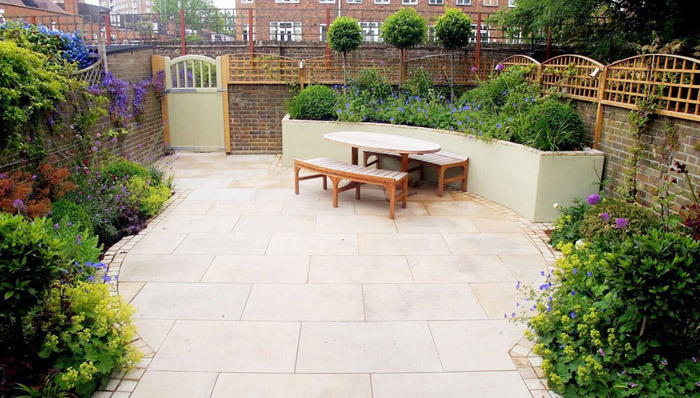 Key Planting – Less is more …too many plants will make the scheme feel cluttered. 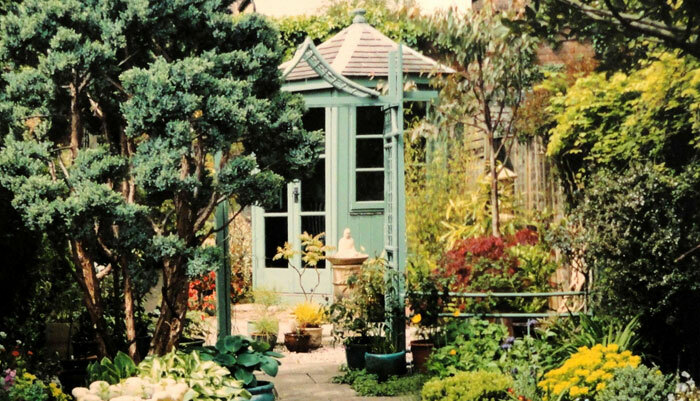 Repeat themed planting always works well, as does a colour palette to work from. 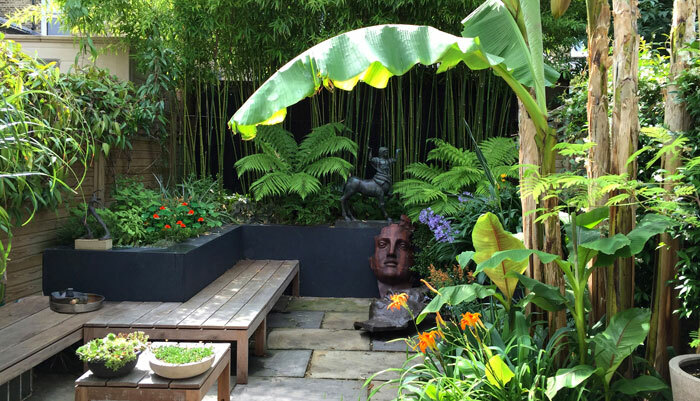 Every garden needs the ’wow’ factor plants, these need to be the biggest specimens so they really make a statement. 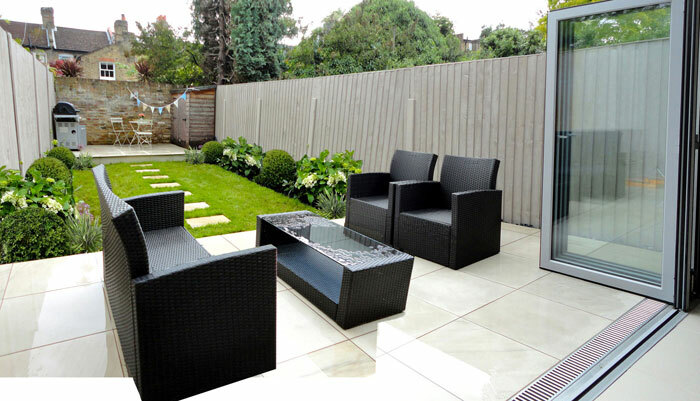 Key Accessories – Lighting is essential as it adds a whole other dimension to your enjoyment and use of the garden. 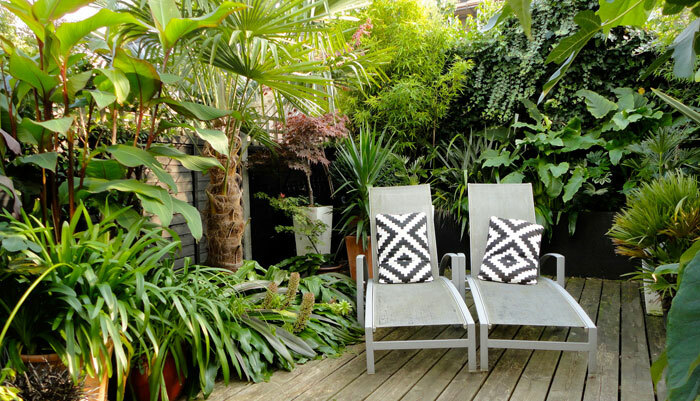 Pots look best when they are all the same theme and style. 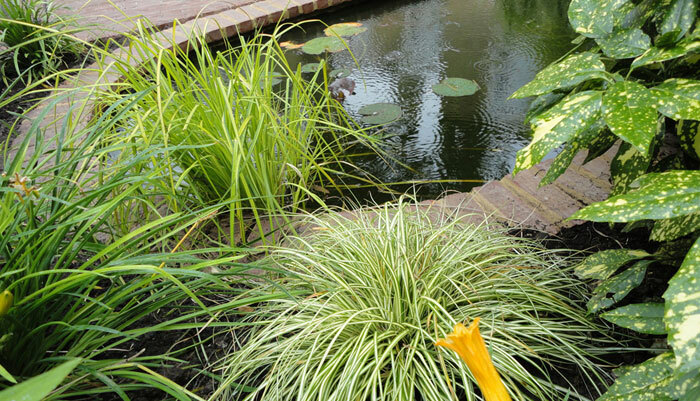 Invest in an irrigation system to keep your plants looking their best.